As you know, being a Massachusetts real estate agent, salesperson, or broker requires you to complete 12 hours worth of continuing education credits every two years. It is safe to say no one really enjoys sitting in a crowded classroom after either a day of work or on your weekend off. 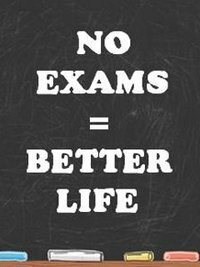 And especially no one likes the anxiety that comes from having to take a quiz or test. That is why Keep Me Certified School of real estate makes it so you don’t have to do either. 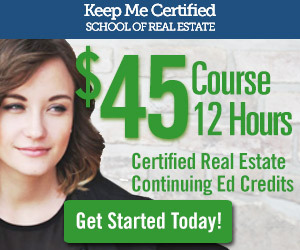 Keep Me Certified is a board approved real estate school that offers continuing education courses online. We offer a variety of topics, and there are no tests or quizzes. So go ahead, sign up for our online continuing ed course today. Not only will you have the luxury of completing your continuing education courses anywhere you want, from your computer, iPhone or iPad but you also won’t have to ever worry about getting quizzed. Here at Keep Me Certified we’re so confident in both the quality of our courses that we offer a 100% money back guarantee.